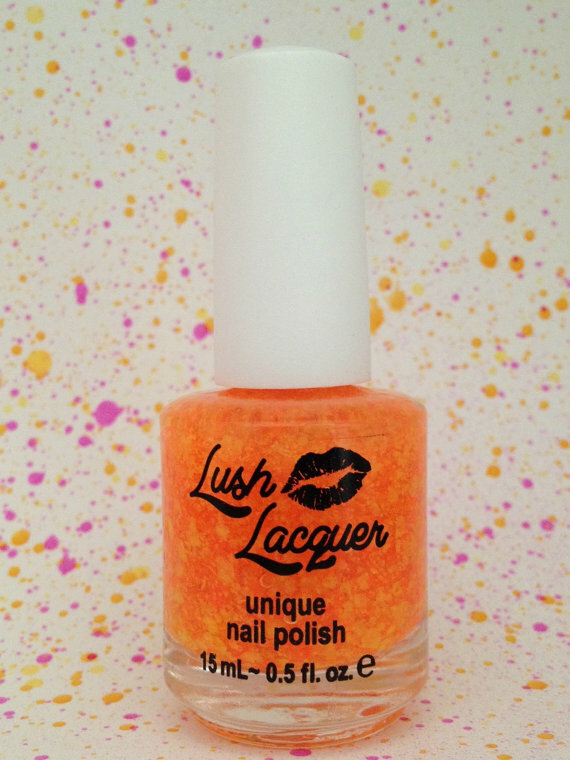 As promised, i am going to show you the new collection by Lush Lacquer! Few collections get me really really excited but this one has! I can honestly say that i would wear every polish in this collection. They are beautiful and summery and of course-neon! I won’t show you all of them, as there lots and lots but i will show you a few of them! The picture doesn’t do it justice- swatches are needed to really see this beauty. It would look brilliant over a light green, blue or white. 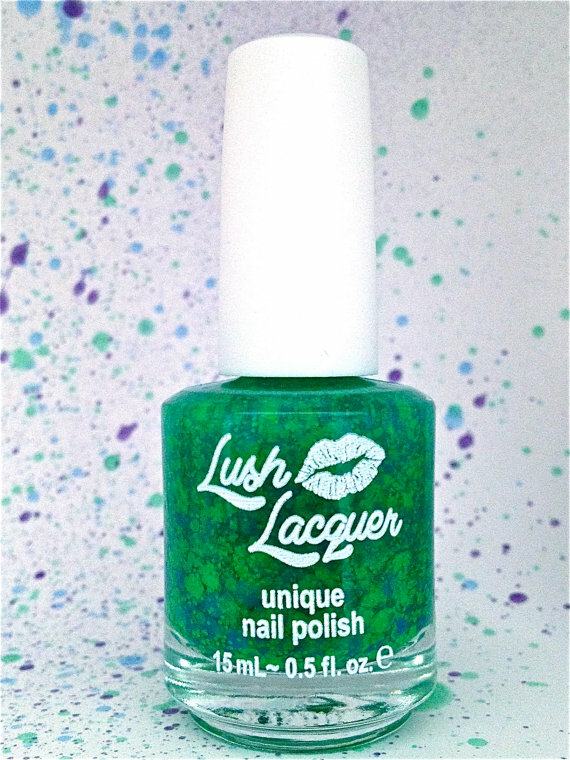 This is one of the new polishes i intend to add to my collection! Nothing beats a glitter topper- and with the amount of blue polishes i have this will really liven up some of my manicures. This is exactly like the previous polish but in orange…this one really does have a summery vibe and would look great over white for a pedicure. Makes me think of tropical fruit juice. Again, this is similar to the first, However the first consists of blue and green glitters whereas this one consists of blue and purple ones- hence the name blurple! I really like the colour of this one, i think the glitters really work in harmony with the base colour. It is a little less in your face than some of the others in this collection but still bright and beautiful! This is only scratching the surface of the new polishes available but i think they are so gorgeous and awe inspiring that you should go check them out yourself at the Lush Lacquer store! If i could i would buy at least 3 more! ( use code NEON10 ) for 10% off your order.